If you're a Browning collector, this gun belongs in your vault. 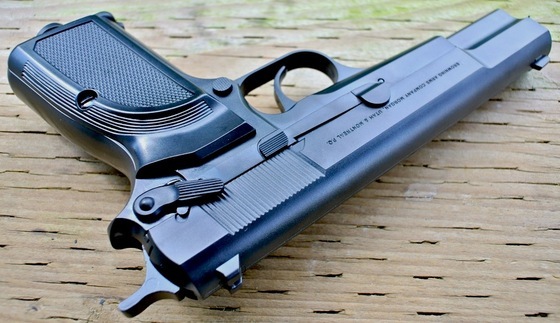 The Browning Hi-Power is such a sought-after firearm, so it's about time someone made an airgun replica! This lightweight pistol shoots 4.5mm steel BB's and will deliver hours of shooting fun for only pennies per shot. Since it's a copy of the real steel firearm, you can use this air gun just about anywhere to maintain firearm proficiency without the exorbitant ammo costs or range fees.